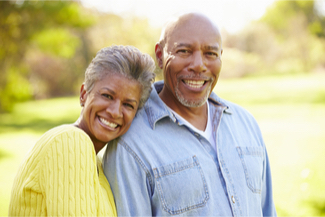 Are You Shopping for an Affordable Life Insurance Policy to Cover the Cost of Your Burial Expenses? If so, you may want to learn how the price of your burial life insurance is determined, and what factors have an impact on your cost of coverage. First, your age and gender affect your rate for burial insurance. In addition, the amount of insurance you need will play a part in determining your price for a policy. To find out how much burial insurance will cost, you can request a free, no obligation quote. Life insurance to help pay for one’s burial costs is an important part of your planning for the inevitable. By choosing to purchase a burial plan you can rest assured knowing that your loved ones will not endure any unnecessary financial stress upon your passing, while they are mourning your loss. The proceeds from your insurance policy can be used by your beneficiary to pay for all related expenses on your burial, including but not limited to a burial plot, headstone, funeral, memorial service, hearse, flowers, embalming, etc. According to a recent survey on behalf of the National Funeral Directors Association, the average cost of a funeral and burial exceeds $8,000. In most instances, United of Omaha offers the lowest rates on guaranteed issue burial life insurance plans. The only other insurer that comes close is Gerber Life. Rates on burial policies vary by insurance carrier. How Much Burial Coverage Can I Buy? The amount of insurance coverage available may vary by insurance company, too. For example, some insurers may offer from $2,500 up to $20,000 of insurance, while others may offer from $3,000 up to $25,000 of coverage. Keep, in mind, you may be able to purchase coverage from more than one insurer. If you have pre-existing health issues, or you have been turned down for a policy by one or more insurers previously, you may still be able to get insured for burial coverage. There are life insurance plans available with Guaranteed Approval. These plans provide guaranteed acceptance for anyone who meets the required age for approval. For example, United of Omaha offers up to $25,000 of guaranteed issue burial life insurance for people ages 45 to 85. That means, anyone age 45 to 85 cannot be turned down due to any health problem. And, with guaranteed issue burial plans there is no physical exam required, and there are no health questions asked. Even people who have HIV, cancer, are on oxygen or dialysis may purchase a policy.